Oh Hey There! 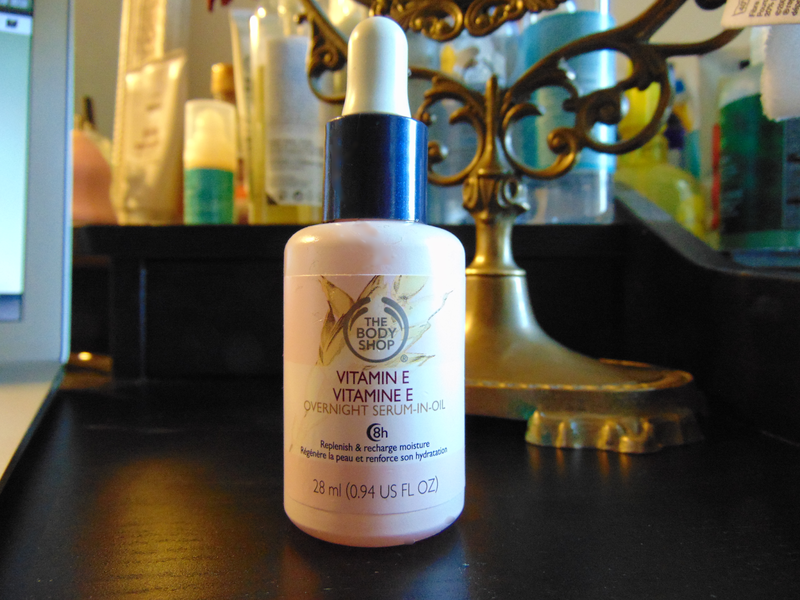 : Review || The Body Shop Vitamin E Overnight Serum in Oil. Review || The Body Shop Vitamin E Overnight Serum in Oil. If you are having reservations about serums then I would say that The Body Shop Vitamin E Overnight Serum in Oil is a good place to start. It is really light and sinks into the skin very easily. It is not at all greasy as you may expect but has a very silky consistency and feels lovely on skin. It also smells like the rest of the Vitamin E line which for me is a major plus! After using for a few weeks my skin feels softer and looks more supple. Bonus points are also rewarded for the fact it has balanced the oils on my skin and has really helped with breakouts! The bottle claims that the Vitamin E Overnight Serum in Oil also gives the illusion of 8 hours of solid zzz's. I am always very sceptical when it comes to these sorts of claims and have never used a product that lives up to them but I must say I am impressed. I noticed pretty quickly that my skin seems to get an instant boost and brightening effect. This makes my skin look very healthy and hydrated whilst not being greasy at all. I think that this will definetly be a repurchase product and also one that I would very much recommend to others. I would especially recommend it if you are struggling with finding night creams to suit your skin. Again, I would also recommend if you are just starting out with serums as it is a good product that is well priced and easy to get hold of! Have you tried any serums you loved lately? Looks good! I am a huge bodyshop fan, so i definatly 'll try this out! Been looking at this product for a while, thanks for the review. Haven't really seen much about this on blogs.